Not sure what a reef knot is? 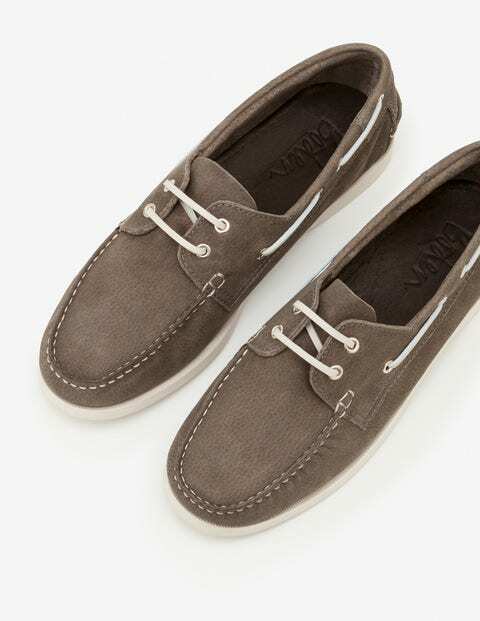 You can still get on board with our boat shoes. Crafted in Portugal from either supple nubuck or soft suede, they feature traditional contrast stitch detailing. Cushioned insoles ensure comfort, and they're finished with metallic eyelets and coordinating laces. Pair with a shirt and shorts for summer-evening BBQs, or wear with chinos for a drink in the City.